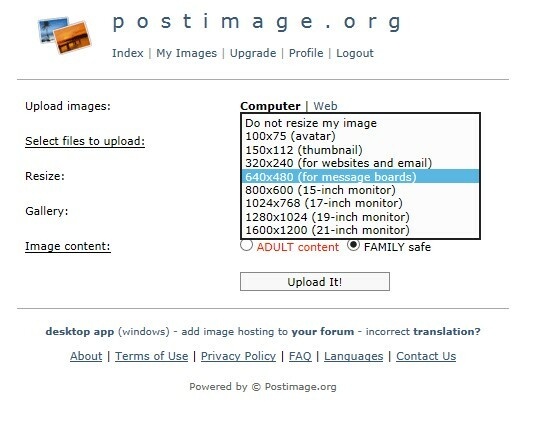 Here is an updated tutorial for posting images to this forum. 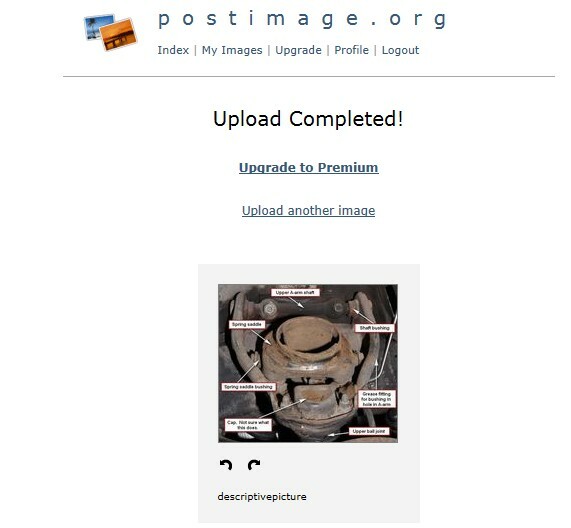 I chose to use postimage.org vs. Photobucket because I find that site to be very annoying with ads that look suspicious and that may even contain malware. This site has ads also, but they are not as annoying as Photobucket. There are a number of steps involved, but it is really quite simple. 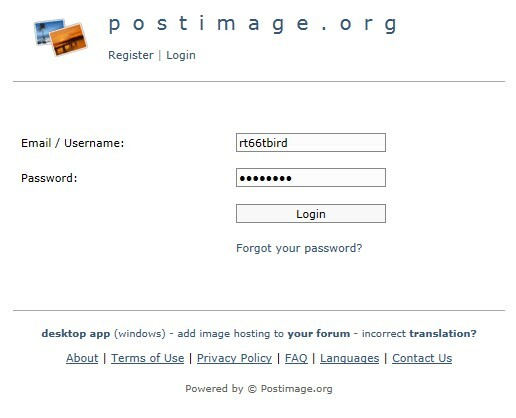 First go to http://postimage.org/ and create an account. You will receive an email to complete your registration. Once you are registered, login into your account. 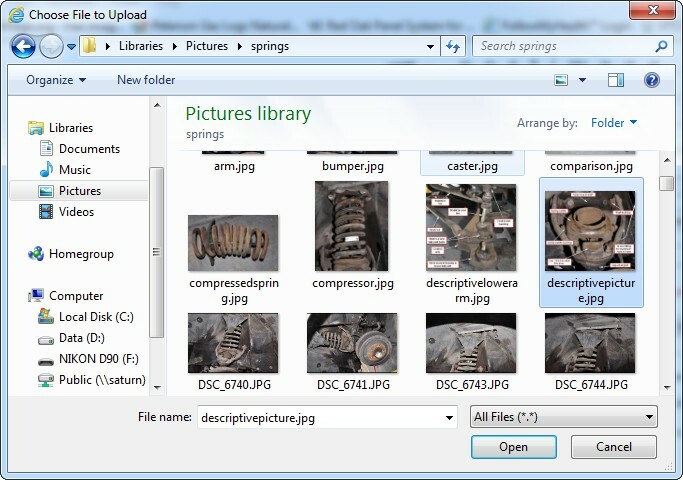 Go to the folder on your computer and select the photo to upload. You can select multiple images by holding down the Ctrl key and clicking on the images. Here I have selected one image from my folder. Next, resize the image to 640x480. Please be courteous and resize your image. This makes it easier for those using laptops or other devices to see the whole picture without scrolling top to bottom or left to right. Scroll down further on the page and you will see this. 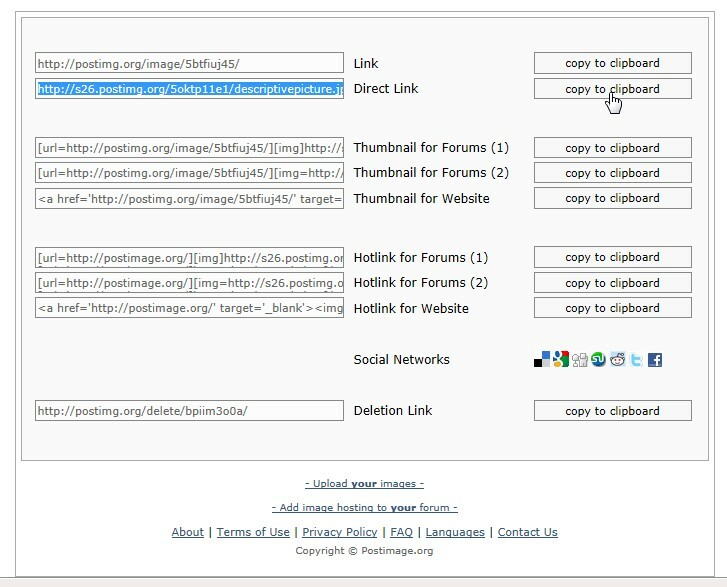 Click on Copy to Clipboard next to Direct Link to get the proper URL for posting in the forum. Now start a New Topic or Reply and select the IMG tag at the top of the window. You can paste the URL by pressing the Ctrl and v keys at the same time or right click and select Paste. Now your image post is complete. If you have questions, please send me a Personal Message. 2003 Premium Torch Red/Performance White HT, Partial Accent Interior, 1 of 47. Glad you found this as an alt. option. Photobucket is about as smooth-operating as any 70s Jaguar out of the factory. Is it correct to assume that we would have to keep PB accounts alive in order not to vacate all previously posted photos or, alternatively transfer them to Postimage and re-post them to the forum? The archived posts are really helpful--in terms of not repeating topics over and over--but when the photos are lost or damaged, it's a bummer. Thanks again. Yes. (as I understand) Perhaps the Admins can verify? I have a free PB account and seldom use it, but no pictures on my PB have been lost due to inactivity - but they may have a time limit on free accounts after which you are dropped, so existing links will remain active for quite a while even though you may not be frequently accessing PB. Here is a page discussing it. Yes. Just copy the YouTube URL and insert it into a post URL, not image. I use photo bucket, it is free, and makes uploading to this forum a simple 2 step process. Much easier that what you show here. I would appreciate seeing more photos. 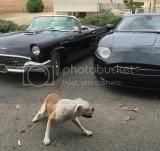 using the photobucket mobile app makes it even easier if you are shooting with your phone. 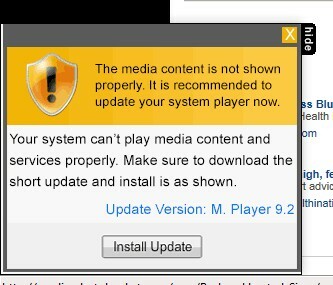 Why can't we just download from our computers like most sites? Not enough storage space on the server VTCI uses, plus cost/maintenance for same. Forum Administrator can elaborate on this.